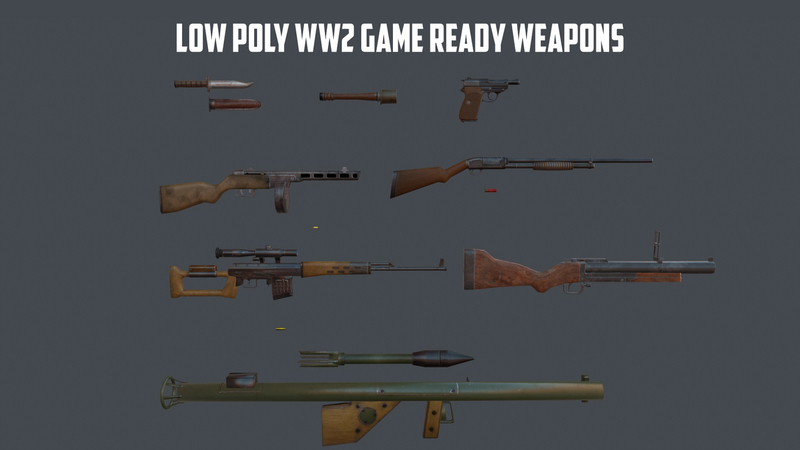 WW2 Game Ready Weapons Set PBR textures for Unity 5 engine. A weapon set for a mobile game project. Polycount of weapons are between 300~600.